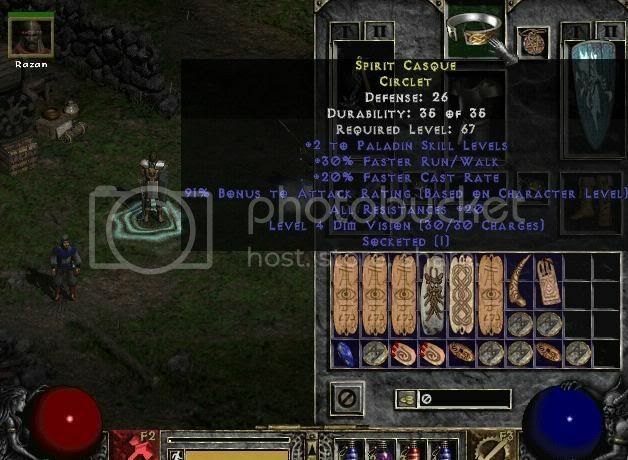 Discussion in 'Paladin' started by diablotradez, Sep 29, 2006.
i'll use circlet if you're going for 125% fcr and using spirit. This frees up your ammy/glove/ring combination/etc. This can allow bloodfist to makeup for the FHR you lose with Coa. Then DR if you can get a 2soc one (2x Ber).